My latest project got delivered last week, just in time for Halloween. This guy was so much fun. 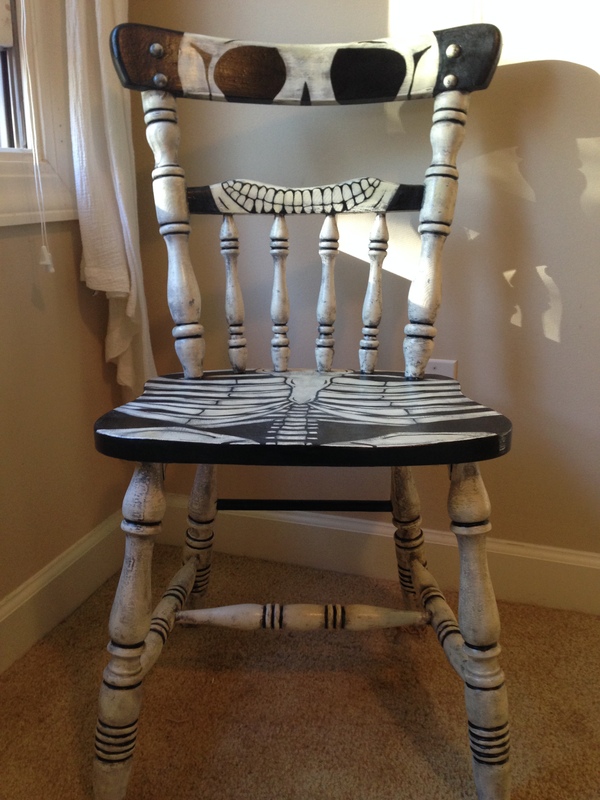 If you have been reading my blog you know I recently donated an art chair to a charity event. If you haven’t been following you can catch up here. This chair was a commission that came from the event. It will be a gift for someone who LOVES Halloween. The chair was another of my “storage stash”. My client gave me complete freedom to come up with something Halloweeny. I considered a Frankenstein or zombie, but when I pulled the chair out of my storage unit it just pretty much screamed “skeleton”. 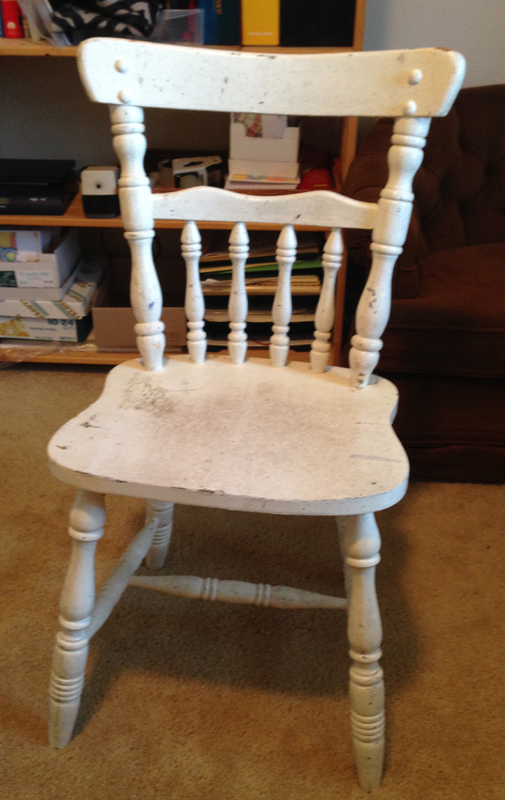 Here is the chair before I went to work on it. It is a good thing that I work in solitude. I’m sure people would be concerned about the crazy lady sitting and staring at a chair. That is how it starts. I just sit and stare or walk around the chair conjuring up designs in my head. I enjoy the fun of Halloween, but am not one to watch horror movies or read Stephen King novels. Try as I may (and I don’t really try), there will not be gore in my work. The zombie idea went out the window pretty quickly for that reason alone. 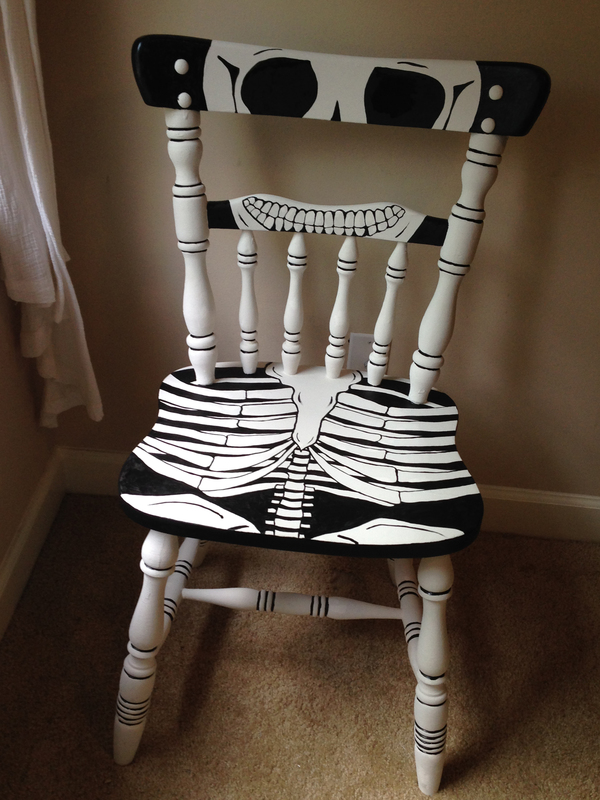 Finally I jumped in with a good coating of white chalk paint and then sketched out the skull and rib cage. The black is done in enamel. After everything was painted I had take some more sitting and staring time. Did I leave it stark black and white or did it need a glaze? I am a learn by doing person, so I decided to try a black glaze that I had never tried to do before. The worst that could happen would be having to repaint a few areas if it was not looking good. Jump in and swim! I started with the legs where there were no details that would have to be repainted. There were more moments of sitting and staring to determine if the look was going to be what I wanted. Finally I glazed the seat and back. If you try this, be prepared to get some exercise. Work in a small area at a time, then rub off the glaze where you want the color to show through more. I had to do lots of detail rubbing around the ribs, spine and teeth to get the effect I wanted. 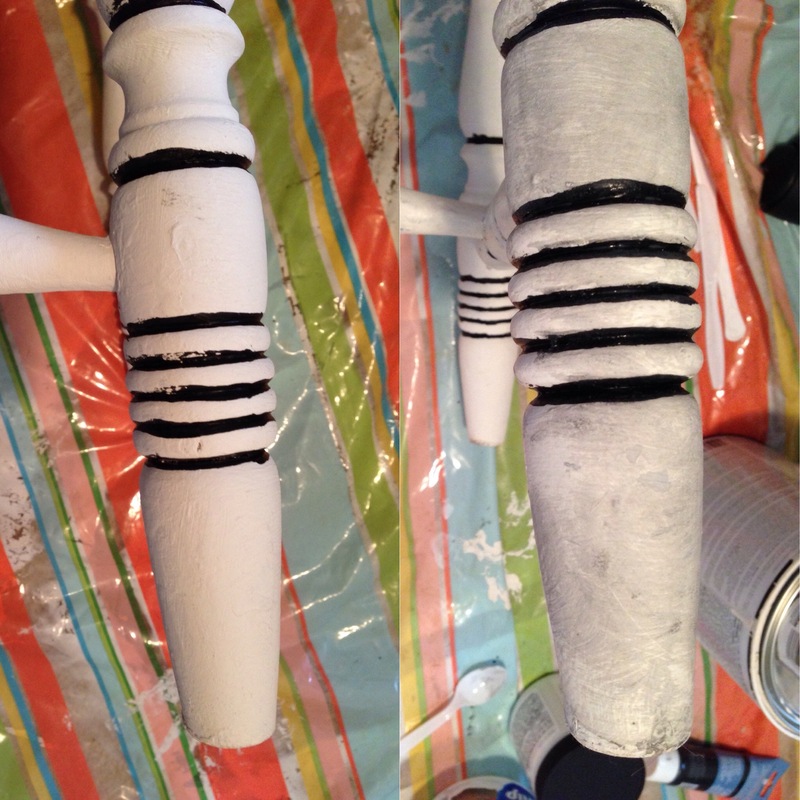 I also sanded a few places lightly where the black was heavier than I wanted. Finally I applied three light coats of spray clear polyurethane to protect it. I was pleased with how Old Bones came out and had a great time designing it. It was about a 12 hour project. Much shorter than the 40+ hours the Doves & Daisies chair took. Now I’m looking for my next chair project. I have a wingback chair in my stash that might get the treatment but I have to get through the holidays first. Old Bones all finished and ready for his new home. Have a wonderful week. Next week I will let you know how my horse skills are going.